The Supply Chain Matters blog continues its series of unveiling 2019 Predictions for Industry and Global Supply Chains. In this Part Nine posting, we focus on a prediction that the positioning for global online retail presence will meet the realities of geo-political forces in the coming year. Part Seven addressed our belief of the expected business prioritization attached for various supply chain management focused advanced technology investment areas in the coming year. Part Eight highlighted our prediction that Global Logistics, Transportation and Third-Party Logistics firms will have to confront converging forces of industry model disruptors. 2019 Prediction Nine: Positioning for Global Online Retail Presence Meets the Realities of Geo-Political Forces and Trade Tensions. We are predicting that in 2019, the ongoing positioning for online global retail presence will meet the realities of needs for garnering shorter term revenue and profitability to fund future investments and scale. Ongoing geo-political forces will mute any further aggressive global expansion plans until global trade and intellectual property protection concerns can be addressed. In 2018, we predicted that positioning for global online retail dominance would shift into higher gear with new providers and spoilers. We anticipated that China based Alibaba would shift into higher gear in establishing an integrated online and physical store shopping experience, further expand its Asia based presence, and be better positioned to grow its online platform’s attraction among other countries. China’s leading online platform was further locked up in a costly battle with Tencent Holdings over market control of the estimated $15.4 trillion in mobile payments across China. The battle was about accessing broader customer intelligence on shopping habits. Alibaba ran into cost containment challenges that impacted profitability, along with intense competition in certain online segments from domestic rival JD.com. In April 2018 the online giant acquired full control of food delivery platform Ele.me which valued this online platform at $9.5 billion. The acquisition added over three million local delivery persons. A global investment spree also involved added investments in Pakistan, Singapore and Middle East countries. Amazon doubled-down on its multi-billion investments in establishing a local presence in India, a country considered to be one of fastest growing online markets in the coming years. In June 2018, Amazon upped its investment in India, committing an additional $2 billion on top of the prior $5 billion invested in that country. The announcement was attributed to be a countermeasure to Walmart’s announced intent in May to establish a majority stake in online provider Flipkart, India’s largest online retail platform. Amazon is the number two platform. Walmart also operates a wholesale business that supplies local mom and pop kiranas retailers across India which dominate the local physical retail landscape. Amazon further launched an online presence in Vietnam with the aim of competing directly with Alibaba on market share. There was been growing speculation that China’s ruling leaders want to tamp down on the existing intense competition among the nation’s large and highly visible Internet experience providers. The race among major online retail platform providers positioning for global dominance then made a potentially subtle turn in September 2018 when Alibaba founder and Chinese national icon Jack Ma announced his pending departure. From our view, Ma’s announcement was a sign of the increased friction that is occurring from unbridled, enthusiastic, and perceived deep-pocketed Chinese tech companies where the sky may be endless, and to the pragmatic notions that growth requires a detailed strategic plan that investors can understand. It was also a sign that China’s ongoing strategies of plowing money and influence primarily into state-owned enterprise are clashing with the country’s online Internet companies that have to answer to external stockholders. Large Chinese Internet technology providers such as Alibaba listed their stock on U.S. exchanges to take advantage of market euphoria for faster-growing tech companies with consequent exploding market valuations. Setbacks in earnings growth and increased oversight from Chinese regulators have caused investors some pause. According to an opinion column published in The Wall Street Journal, the four largest U.S. listed China tech firms have collective lost more than $125 billion in market capitalization since March 2018. That places additional pressures to boost earnings not only for higher market capitalizations but potentially for listing shares in China and other Asian markets in the future. 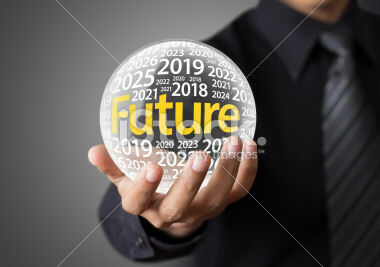 Our look-back assessment of our 2018 prediction concluded that while positioning for global online retail dominance was indeed happening, the realities of the financial, process and people investments requiring very deep pockets as well as patience and tolerance among stockholders, investors and individual countries came to reality. The above has now led us to our 2019 prediction that positioning for online global retail presence will meet the realities of needs for garnering shorter-term revenue and profitability to fund future investments and scale. We believe that the ongoing presence of tense geo-political forces will further mute any further aggressive expansion plans into other regions. Two influences are at play that led us to this prediction. China’s dominant online providers are publicly-held companies accountable for delivering expected revenues and profits. While Amazon was able to convince investors to ride-out multiple years of profitless results in order to make strategic investments, the scale of China’s providers is far more extensive, and the expectations for shorter-term and longer-term profitability is far higher. The second is the obvious growing fears of an ever more escalating trade and intellectual property protection war involving China and U.S., two of the largest economies and significant online marketplaces. Some geo-political experts speculate that such a conflict might result in an increase mercantile alliance between China and Russia for trade and market opportunities. Alibaba has already announced a partnership with Russia’s emerging online shopping provider, which could set off alarm bells among other nations. Strategic countries have already been identified and strategies must now turn to garnering customer stickiness and market-share in existing targeted countries while fending-off obvious domestic and international competitors. China’s own domestic economy is showing strains and broad-based consumers have reportedly been cutting back on spending other than traditional holiday related. The prize remains India. We believe that Flipkart, Amazon and to some extent Walmart, duking it out for online market dominance with China-based online services providers in the midst of heightened trade tensions could be a flash point in the coming year. That will require added attention, resources and political skills to circumvent nationalistic viewpoints from online shoppers. This concludes our highlights of Part Nine of our 2019 Predictions for Industry and Global Supply Chains. In the next posting in this series which will be part ten, will highlight our last prediction which addresses unique industry-specific supply and customer demand network challenges anticipated in the coming year. Because the Christmas holiday is near, readers can anticipate this posting to publish later next week, before the new year commences.